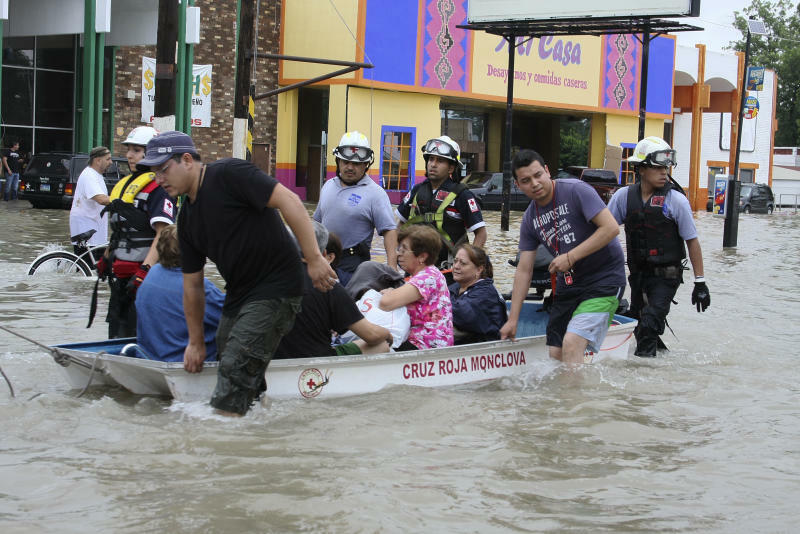 PIEDRAS NEGRAS, Mexico (AP) -- Heavy weekend rains have caused severe flooding in the Mexican city of Piedras Negras on the border with Texas. Coahuila state officials say one person died and 10,000 houses are damaged, leaving 40,000 peoples homeless. State government secretary Armando Luna Canales said Sunday that one of the hardest hit zones was the city center, where many businesses reported flood losses. Canales says the storm that began Friday afternoon and continued into Saturday dropped 60 percent of the rain usually seen in a full year in Piedras Negras. The city sits across the Rio Grande from Eagle Pass, Texas. Officials in Texas say 17 inches of rain fell there, and some people evacuated as a precaution but were turning to their homes.